Encounter will not be meeting much during break. We do meet this Sunday as we finish off our "Emmanuel" series with a message about "God through us". For obvious reasons, we will not be having small groups on either Wednesday of Christmas Eve or New Years Eve. We also will not have service on the weekend of December 28th. Head over to main service with your family. We start back up again on January 4th with a new series and at our normal times of 9 and 10:45 am. We will also kick off the new year with a night of dodgeball on January 7th from 7 to 8:30pm. We'll post rules and such in a post soon. Have a Merry Christmas and a happy New Year and join us in 09 for a great new year!!!! So, we dreamed up the plot to steal, hide, and then give a bounty for a "lawn ornament" as Sarah calls them. I just call it a lighted deer. Anyway, watch the videos below. This one is the challenge. However, the clue was too easy and within hours a student had figured out that "1/2 way between Jesus and a dizzy family" was on mount helix on a trail 1/2 way between a large cross and famous house that actually rotates. So... I got the deer back and I re-hid it. You may not dismember, alter, or otherwise jack with the deer. Doing so will forfeit the prize. You must be in both services on Sunday, Dec. 21st to claim your prize. Prize however is now $40 cash plus $40 off either OGN or the Spring Retreat. That's an $80 prize. Code to unlock the deer is the same. New updates everyday the deer is not found. They will add up to the location of the deer. No, it will not move. No, I will not be offering another ransom when this one is done. Is here on twitter or in the side bar. Good luck. 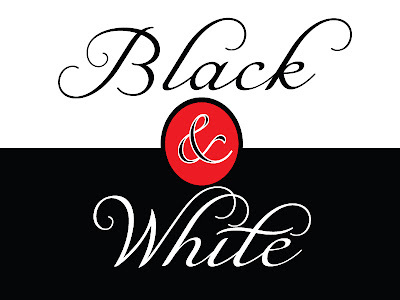 BLACK AND WHITE BALL IS LESS THAN A WEEK AWAY! WHERE? 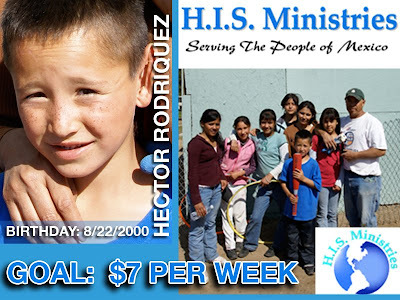 His Ministries Day Care center in Tecate Mexico. WHAT ARE WE DOING? We'll be playing with the kids, building a new ministry sign or two for them, helping some local families, providing some great lunches, and bonding as we serve. DO I NEED A PASSPORT? Officially you will be required to have one by the government in June of 2009. Before then, you may continue to cross with a photo id and an original copy of your birth certificate. WHAT DOES IT COST? The 3 days will cost you $100. IS THERE AN APPLICATION? Sorta. There is some paperwork you need to grab and get notarized. So if you haven't already done so, please come on by our high school room and pick it up ASAP. If you have questions or concerns, please contact Brian by clicking here. we have a sweet weekend in store for you on Sunday, November 9, 2008. 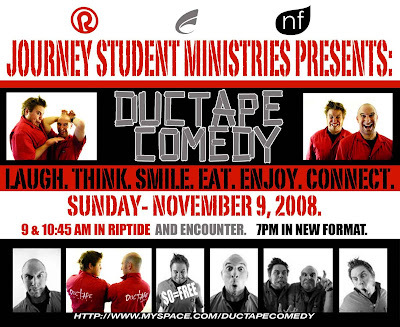 We are teaming up as a student ministries and bringing in a great comedy team- ductape comedy. They'll make you laugh and maybe even cry- but only cuz your gut hurts. 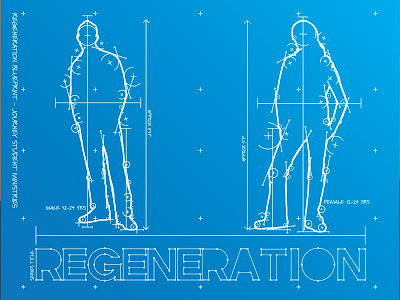 It's going to be a fun weekend and we'll have a great challenge for you as we finish up our series called "regeneration". So bring a friend and join us in Student Center A at either 9am or 10:45am. IT'S FREE! pick the one that's best for you and join us- bring a friend. It's all about our passion to see a generation think and re-think what it means to follow Jesus. We're "inviting a generation to understand, own, and live out a life changing faith in Jesus" for the next 4 weeks. DON'T MISS THIS SERIES. It's going to be awesome and we're praying that it will inspire and encourage you as you strive to both become and live more like Jesus. there are way too many non-thinking “christians” in this world. Well encounter is here to change that. 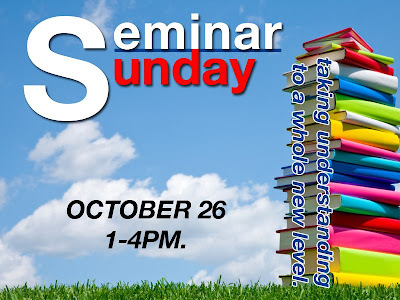 Join us for an afternoon of thinking and re-thinking this thing we call faith on a day we call seminar sunday. We have 3 classes for you to choose from. Pick one and sign up. You’ll be glad you did. Whether you are just starting out your life as a follower of Jesus or if you’ve been trying to serve God for a while, this class is a great way to reinforce the basics of the faith. We’ll interact with your questions and cover the following essential topics: how to know you are “saved”, how to get the most out of church, the value of helping others connect with God, the power of prayer, and more. This class will help get you grounded in the essence of what it means to follow Jesus. Ever wondered: Where did the Bible come from? Where did denominations come from? When did people first start talking about the doctrine of the trinity? Who are the saints you hear about in Catholicism? if, so then this class is for you. A long time pastor and college professor named James Smith III is going to be here to answer your questions and challenge your level of normal. You’ll leave this class both smarter and filled with more questions too. Want to read your Bible but just don’t know where to start? Wish you could connect with God but need some help? devotional life of prayer to a new level? If so, then this class is the one. You’ll learn some new and experience some tried and true methods that have helped people truly serve God all through the centuries. Take your understanding of prayer and the Word to a new level. If you'd like to get announcements over twitter or if you'd like to receive them over text message then you're in luck. Encounter is now updating a twitter account with small group info, event details/reminders, and information on the weekend. You can read our posts or sign up for an account via twitter here. Also, if you don't want to check a twitter account, you can just simply follow twitter via text message. All you do is sign up for a twitter account, under devices sign up for data updates by entering your cell phone, and then go in and select which accounts that you are following that you want sent to your phone- IE: say yes to Encounterhsm for data updates!!! Then BAM. 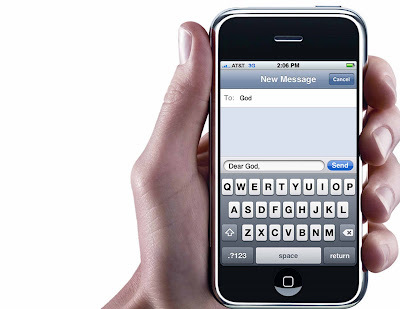 You have instant cell phone texts of the latest data from encounter for FREE. You only pay whatever your cell phone charges for a standard SMS text message. SO FOLLOW US NOW! AND TELL A FRIEND! We also added a twitter feed in the right column of this blog and you can subscribe to us by clicking the "follow me" on twitter there too. Our small groups operate on a rotation during our school year. They meet for about 3 weeks and then take a brief, one week break where meeting is optional or more casual. Some groups take a much needed break. Others plan a movie or starbucks run or whatever. So, this Wednesday, October 1, is the first of such days during our school year where there are no official small groups. October 1: NO GROUPS- check with your leader to see if you're meeting. October 29: NO GROUPS- check with your leader to see if you're meeting. WANT TO SEE OUR VIDEOS? If you've ever wondered where some of the videos we show in encounter end up- the ones we've made and such... well, you can find several of them here on youtube. We'll add some more soon. But drop on by and enjoy the ones we have there. Hey encounter. A buck a week is all we ask. If you can muster up a buck each time you join us on the weekend, then you can help us seriously change the world. Last week there were 157 people in our weekend service. If everyone brought a buck, it'd be... drum roll... 157 bucks. We know. Our math skills are amazing. Sadly, there was only 37 bucks in the piggy banks. Seriously. $37. 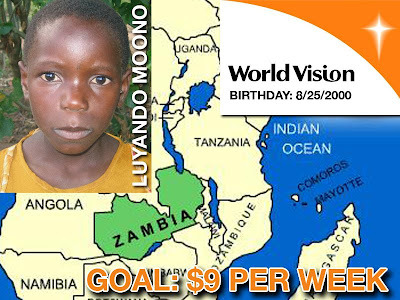 We sponsored the following 3 children living in poverty around the world, which costs about $100 a month for all 3 of them combined. 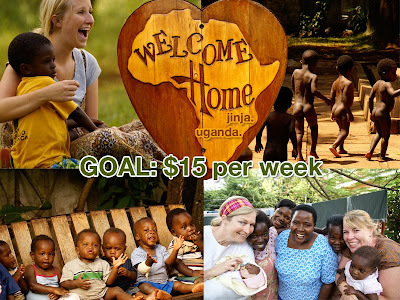 We also sponsor an orphanage in Uganda called Welcome Home that some of our students visited this last summer for about $50 a month. SO, MAKE A DIFFERENCE IN THE WORLD. A buck a week. It's all we ask. 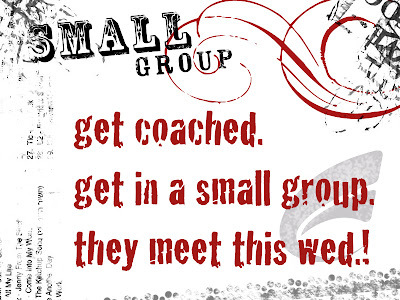 our small groups restart for the fall TOMORROW!!!! If you're a guy, then they meet at Journey in Student Center A from 6:30pm to 8:30pm and you bring $4 for dinner. 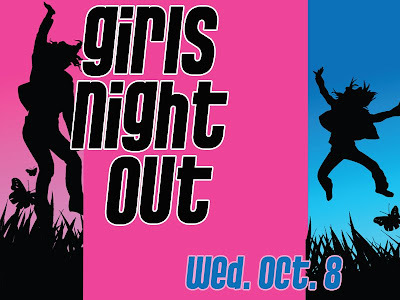 If you're a girl, then they mostly meet in homes from 7 to 9pm, but it kinda varies a little. But either way, small groups ROCK. Please come and join us for a great year of friendships, deepening our faith, and building memories. Please contact us ASAP if you'd like to get involved. Calling all high school students who want to serve in some significant way in Encounter this year. It's that time of year and we're accepting applications for one of 6 teams you can join this year. You can pick up an application in Encounter or even download one here. PEOPLE: help greet, write visitor cards, pass out Bibles, help with game supplies, just generally love on those who come to our weekend services. PRAISE: join our band and lead out with your voice or another insturment. They practice thursday nights in Encounter. PROGRAM: Help us plan out our weekend services and review the past ones. We meet every Wednesday from 4:30 to 6pm. PRODUCTION: help us with sound, lights, and computers in our student center. PLANET: help us with our recycling program as we strive to raise funds for sponsor children and for camp scholarships as well. PRAYER: we are looking for a group of students with a passion to pray who can dive in and help us plan a few annual prayer and worship nights in our ministry as well as pray over our ministry on a weekly basis as a team. IF ANY OF THAT SOUNDS GOOD TO YOU, then fill out an application and join us today! 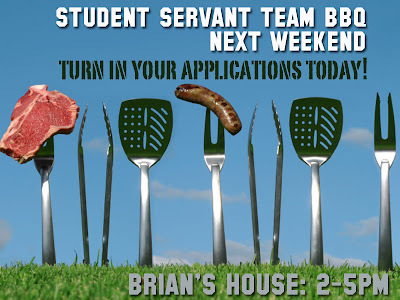 Our kick off BBQ is from 2pm to 5pm on Sunday, Sept. 14 at Brian's house. Directions will be available in Encounter this weekend and next. Our Sunday's are busting at the seems these days. Come and join us. 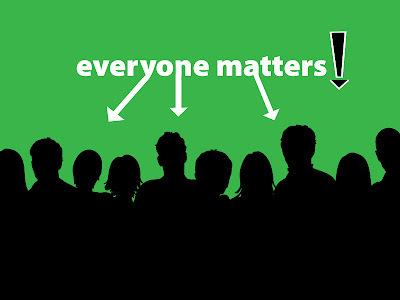 We're starting a new series of teaching this weekend called "everybody matters". It goes for the next 6 week and we're serious... EVERYBODY MATTERS. And yes... that means you too. Come join us, this Sunday at 10:45am. We'd LOVE to have you. Here's the general list of what we're planning for this summer. You can download a printable version here. More details will be available in our high school weekend service. All students, incoming freshmen through graduating seniors are welcome to attend any of the items below. Wed. June 18: 10 am to 10pm. $5 for gas and dinner. either a lunch or money for lunch. Monday, June 23: Beach Monday. Meet at Encounter. We’re going to Pacific Beach. 10am to 3pm. Bring $ for lunch. Wed. July 9: Worship and prayer night. Monday, July 14: Beach Monday. Meet at Encounter. We’re going to Mission Beach. Student Center A: 7-10pm. Free food. Monday, July 28: Beach Monday. Meet at Encounter. We’re going to Ocean Beach. Wed. Aug 13: Padre Game. $20 for trolley/game seat. Bring $ for grub. Buy your tickets soon. Families welcome. Last October we launched a new plan to try and reach students we were missing at the 6:30pm time slot. We decided at 8:30 am was way too hard to get students up for and our production team was arriving at 6:30 in the morning to set up. So, we decided to cancel our 8:30am service to try an evening service. Well, it was lots of fun and we enjoyed it this school year. Our 10:45 service was a hit and grew in energy and numbers by nearly 50 students. But after 8 months of giving it our energy, we decided that it was not working as well as we thought it might. So yesterday, June 8th was our last Sunday night service. As a result, for the summer- from fathers day and through august, we will be offering just one service for high school students at 10:45am. We'll see where we go from there, but for now, we're going to be pouring all our energy into making one amazing space and time for your teen to laugh, think, experience some new friendships, and enjoy exploring their faith in God with their peers. So, join us at 10:45 am this Sunday and through summer. ONE FINAL NOTE: We will not be having a service on Sunday, July 6 as our team is away at our OGN trip listed in the post below. OGN or (Operation Good News) is just around the corner. It's a great summer experience for a high school student who not only wants to build new and deeper friendships among students in our group, but who also wants to take their ownership and depth of the faith in God to a whole new level. Check out all the details, watch a promo video, and get the latest details on the official OGN website here. Then drop on by Encounter and fill out an application and get ready for a life altering experience. Our small groups are now done for the summer. Our official re-start of them will be the Wed after labor day. September 3, 2008. After taking a week off on April 27th due to being at our spring retreat, we'll be re-starting, Sunday, May 4, we'll be starting our own high school version of God at the Movies. It's a series where we go looking for the God moments in some popular recent stuff many of our students have already seen in the theater. The main service will be doing it's own version of this series, something we actually stole from them anyway. May 18: DAN IN REAL LIFE. This weekend we are going to take 42 young women and leaders to the beach front retreat of the dana for a weekend of bonding, spiritual discussion, and good times. A group of 45 men are going to the desert for a weekend of team building, food, bonding, explosions, and seeking God like Moses did. Both trips are sure to be life changing. The girls trip has just 1 spot left and costs $175. The guys trip has about 4 spots and costs $125. If you're interested, contact us at journey for more info. Here's the trip t-shirt logo just for fun. ALSO, AS A REMINDER, THERE ARE NO SMALL GROUPS THIS WEEK ON WED. APRIL 23 AND THERE ALSO IS NO ENCOUNTER THIS WEEKEND, ON SUNDAY, APRIL 27TH EITHER. 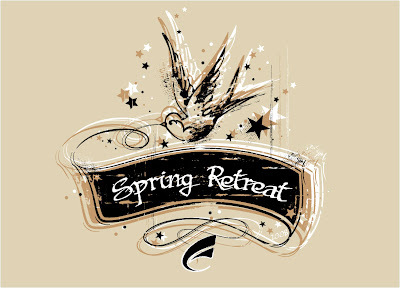 The Spring Retreat is upon us. 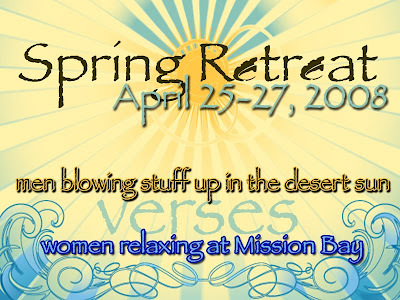 We're taking our men to the desert and our women to the dana in beautiful mission beach. This is a time for fun, bonding, and some serious God moments. It seems like every year we do this trip our youth group takes a notch up or two in commitment and the "get it" factor. The vulnerability, relevance, and community that are natural parts of gender specific retreats, coupled with some amazing locations, and some great teaching turn an average weekend into a life changing three days. Cost is $125 for the guys and $175 for the girls. A deposit is required to save your space and the trip is limited to the first 25 guys and 25 gals who sign up. If you'd like to download the brochure and permission slip, all the data is here. 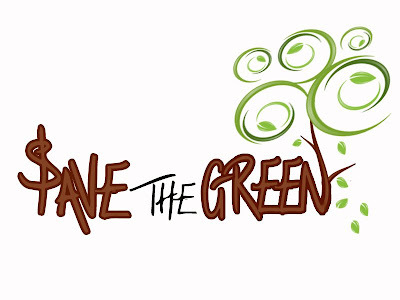 We have a new series on our weekends in high school called "$ave the Green". Here's a summary of what we'll be talking about. It’s super trendy to care about the planet these days. Companies claim to be “green”. Food products are better if they are “organic”. We are told to conserve gas, electricity, plastic bag usage, and to go green with our green money. We recycle everything from our coffee grounds to newspapers. There’s no question that today it’s hip. But is it Biblical? What does the Bible say about this world God created and what is our responsibility to care for it and at what expense? Does your life affect the world around you and the planet too? Is your money yours to spend and do with as you please or is there a deeper, more communal responsibility we have to God, the planet, and all it’s inhabitants to use our money and resources responsibly? This series will take what is so 2008 cool and see if it’s really so 2008 BC old school but somehow we’ve been missing it. Lots will be changing in Encounter through this series- pray with us as we seek to invite students to think and re-think how they live in our world today. 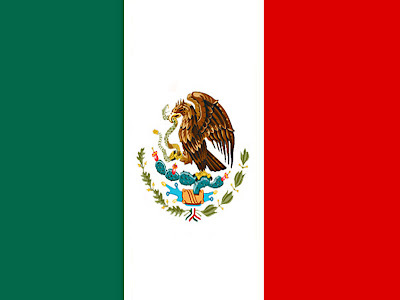 We're headed to Mexico this spring for 3 days. 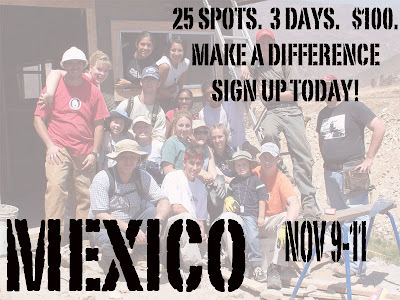 March 27-29th to work with a church in Tecate Mexico. It should be an amazing experience where we will help a local church, aid and encourage their teens, and help expand the hearts and minds of our students who live just 3o minutes from them, but in a whole different world. 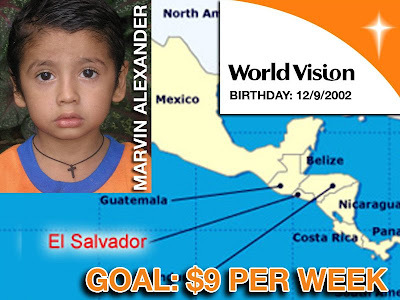 We may also be able to meet with Hector, the little boy we sponsor each month as a ministry to provide for his needs through our weekend offering in Encounter. So fun. Cost is $150 and we're taking sign ups now for this trip if you'd like to go.... pick up a packet in Student Center A and let us know ASAP. This Sunday we continue in out dating series with services at 10:30 am and 6:30pm with a message on dating and while it may seem like a long way off- the implications it has on marriage someday. Should be lots of fun and we hope and pray it makes students really think. 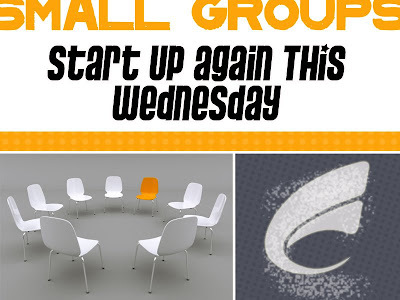 We have small groups this Wednesday too. Guys meet in SC A and the girls meet in various houses. E-mail us at the address in the side bar if you have questions and we'll get your son or daughter dialed in. We're away in the snow and such this weekend, Feb. 10. So there's No encounter. See you on Feb. 17th as we continue our dating series. It will be awesome!! 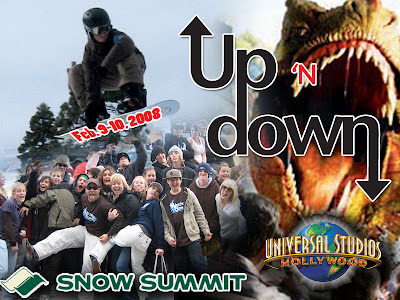 We're going to the snow and to Universal Studios the weekend of Feb. 9 and 10. This weekend is the last weekend to turn in your stuff. Also, reminder- for those not going, we also will not have high school group on Feb. 10 due to the fact that we are gone. Join us for an awesome weekend and don't miss out. Brochure and all the permission slips are available in high school. We start a new series this weekend in Encounter. It's called "hooking up" and it's about dating and sexuality and God's design for relationships. You don't want to miss this series. It always rocks. Join us at 10:30 am or 6:30pm this sunday, Feb. 3. Guys meet in SC A from 6:30 to 8:30pm this Wed, February 6, 2008. Bring $3 for dinner. Girls meet in homes. Contact us if you're not already in a small group and we'll get you dialed in.